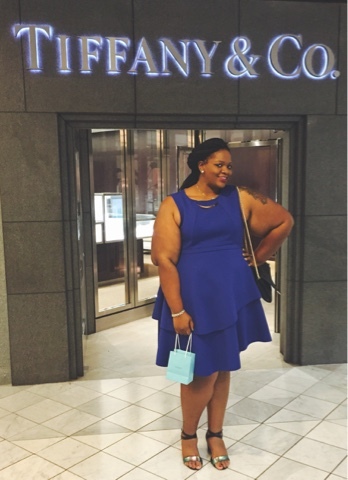 Last week I was honored to work with one of my favorite luxury brands, Tiffany & Co! I was one of the co-hosts of the Fun & Fashion event at the Green Hills Mall location. ‘Excited’ is not even the word I would describe to how I felt about this opportunity. I mean, it’s TIFFANY AND COMPANY – like, girl! So, let me tell you about the event. 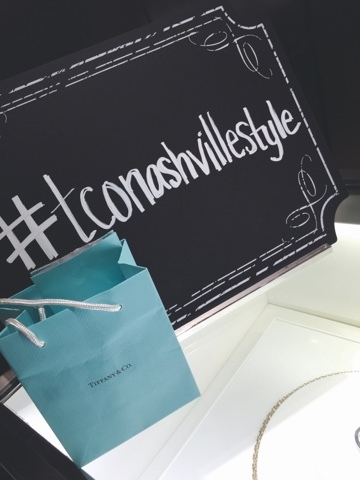 The folks at Tiffany & Co were more than happy to open the store to Nashville. Oftentimes, we pass by luxury retailers because, real talk, everyone can’t afford that stuff. But, no one said you can’t dream. Why not visit your favorite luxury retailer to dream, plan, and set goals? 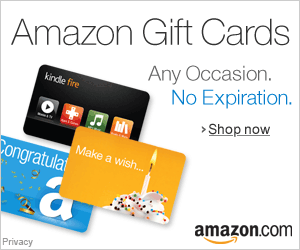 Maybe you’ll purchase an item one day. Don’t limit your life to what’s in your wallet. Dream. 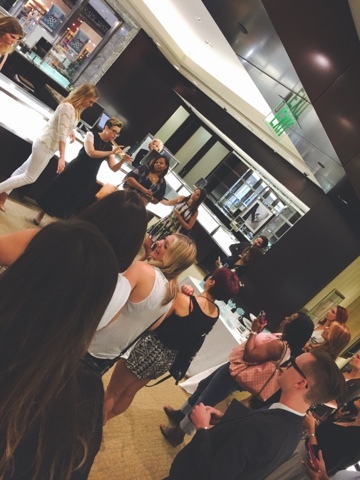 The Fashion & Fun event was a time for customers to dream. For the first hour, guests were invited to try on anything in the shelves. 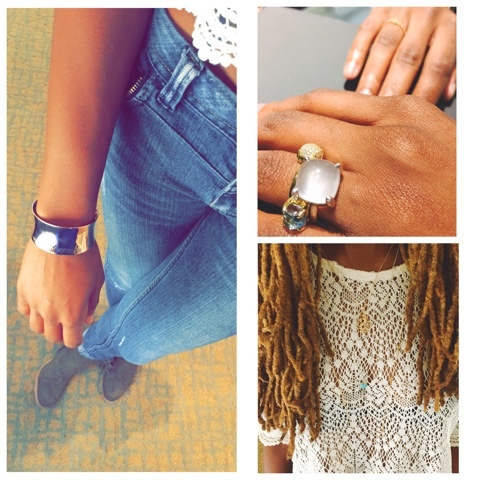 From rings, to bracelets, to designer bags, you could touch and try-on anything in the store. Oh, and the lovely treats that were provided were just amazing. 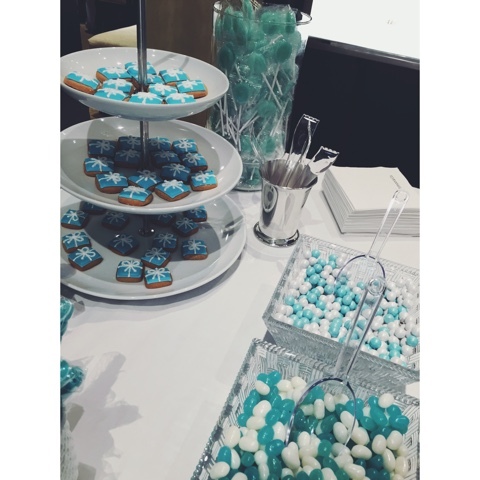 Tiffany blue cookies, shipped exclusively from NYC? Yes, PLEASE! After the networking and shopping was done, the invited stylists (that’s me) got to showcase our styling skills. We were asked to create a look for the modern Tiffany woman. We had to use a piece that was under $300 dollars. After choosing our affordable piece, we could go wild. Below are the four models used by the stylists. The categories (l-r): Bohemian Chic, Bold Modern, Romantic, and Urban Explorer. My model, on the left, was bohemian chic. The guests were asked to vote on their favorite look. The stylists were asked to stick as close to the style assigned as possible. The winner of the night would be awarded an exclusive gift from Tiffany & Co.
My model ended upwearing over $15,000 worth of jewelry. One can only imagine being able to rock that much jewelry from one luxury retailer. However, our look could be easily replicated by using hi/lo mixes of your favorite jewelry designs. Above are my co-hosts for the evening, pictured with the store manager, Teri (middle dressed in black). 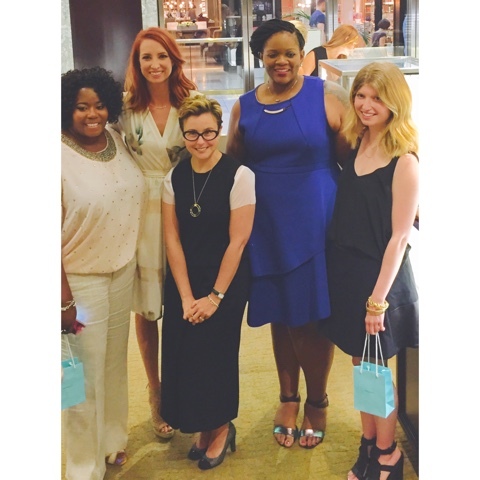 These are some of Nashville’s most amazing blogger/stylists. I loved working with these ladies because we all have a distinct style, readership, and design aesthetic. It made the ‘competition’ fun because we were able to use our advance wardrobe style skills on our models. Of course, your girl won! Heck yeah! 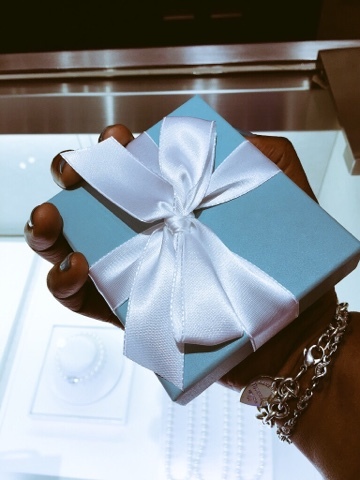 I won a very fab gift from Tiffany & Co that I will share in my next My Style post. I assure you, the gift was STELLAR and I was so happy to add this piece to my Tiffany collection. Yup, I’m gonna have a collection and no one can stop me. Overall, this event was SO FUN. There’s plans to do another event closer to the Christmas season. I hope to see you there. Oh, can’t forget to let you know what I wore! 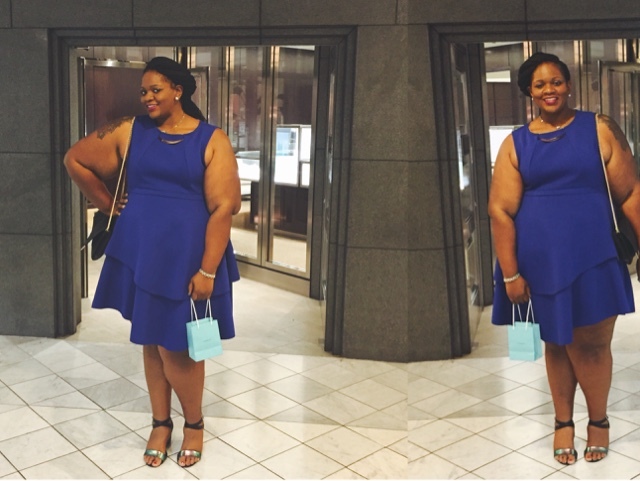 I wore this cobalt blue Eloquii dress that I rented from Rent the Runway. It was my first time using the service and I gurantee I’ll be using Rent the Runway again. This is a great service, especially for renting plus-size looks. I’ll be writing more about them in an upcoming post.